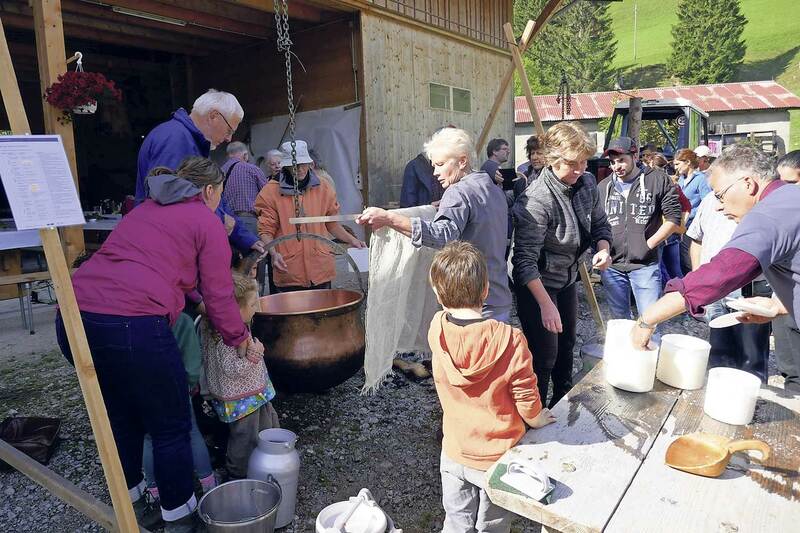 The village organisation of Abländschen organised a public cheese making event. Everybody was welcome to produce their very own cheese. Four "Chessi", copper cauldron as they are used to make cheese on the alps, had been installed near the restaurant Zitbödeli. With a clever system, they could be moved over and off the fire and were ready for visitors who wanted to try their hand at traditional cheese making. Farmers provided the ingredients, good advice and practical support. They patiently answered all the questions, of which there were many.